The noble, hospitable and bold city of Malaga still stands as one of Spain’s oldest settlements. The powers that be define Malaga as "a cradle of culture and genius, combining tradition and modernity, a city which never sleeps, twenty-four hours of cultural and leisure." 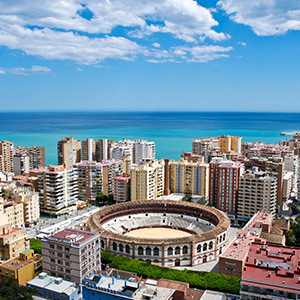 Malaga is a gorgeous city located in the Andalusian-Mediterranean basin, the heart of the Costa del Sol, which has been declared a "historic institution", thanks to the imprint of several cultures, both eastern and western. For centuries people such as the Phoenicians, Carthaginians, Romans and Arabs bequeathed the town with their magnificent works - which one can still marvel today. There is the Roman theater, the Alcazaba, the cathedral, the Judería and the customs house. Malaga is not only famous for being the birthplace of the acclaimed artist Pablo Picasso, but for its own unique wonders, too. Parque de Málaga for example or the botanical gardens that house plant species from all over the world. These gardens have been naturally adapted to suit the local environment and that really constitutes something special on this continent. Something else to ponder is the fragrant "Biznaga Malagueña" a characteristic arrangement of jasmine grouped on a pole. In the summer they are sold on the streets by the Biznagueros. The jasmine flowers are collected in the afternoon, locked away, then come dusk they open and display their beauty whilst giving off an enchanting perfume. LolaFlora offers a wide range of arrangements to match the unique and incomparable beauty you find in Malaga. 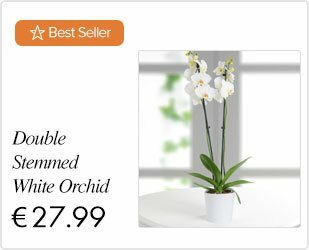 Simply choose the flowers or plants that you want to send from our florist’s wide range and we will take care of the preparation and delivery to the address in Malaga that you select. We supply a card of your choosing that contains a personal message, too! LolaFlora is the number one professional florist in Malaga that offers a wide range of floral arrangements to suit any needs! 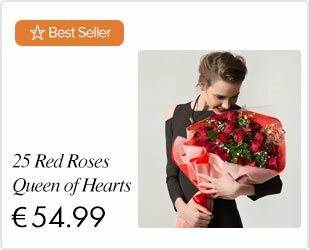 If you want to send flowers to Malaga, Madrid, Valencia, Barcelona, Sevilla or all across Spain, you are in the right place!